Risk refers to the probability that the realised profits are less than the expected profit. When an entrepreneur sets up a venture, he is not sure of its success. There is no assurance of returns or profits. Moreover, he also takes up the risk of choosing entrepreneurship as a career over practice of a profession that involves an assured pay off. However, an entrepreneur always takes calculated risk. As per their skill, training and confidence, they try to minimize the risk. For example, an entrepreneur might enter into prior contracts with the customers and thereby, ensure the sale of the product. Thus, it can be said that entrepreneurs undertake moderate and calculated risk. Clarify the meaning of the terms 'entrepreneur', 'entrepreneurship' and 'enterprise'. The three terms 'entrepreneur', 'entrepreneurship' and 'enterprise' are different yet interrelated to each other. An entrepreneur refers to a person/individual who starts up a business. He is the one who takes up the basic idea of setting up the business. In the process of setting up the business, he undertakes risk, coordinates production resources and undertakes innovation. This whole process of setting up a new business is called entrepreneurship. The final result, that is, the business which is established after undertaking the process of entrepreneurship is called an enterprise. Thus, 'entrepreneur is the person' who undertakes the 'process of entrepreneurship' to set up an 'enterprise'. 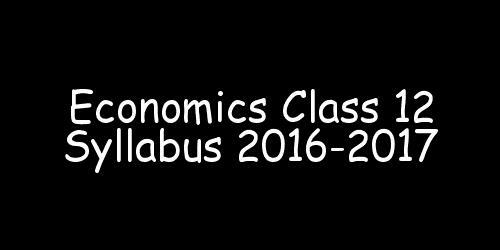 In economics, which of the following is not a function of the entrepreneur? Why is entrepreneurship regarded as a creative activity? Which of the following statements does not clearly distinguish between entrepreneurship and management? ''Entrepreneurs undertake moderate risks''. Elaborate this statement. In the roles and functions of the entrepreneur identified by Kilby, which of the following is not an aspect of 'political administration'? How does entrepreneurship result in increasing the spectrum and scope of economic activities? Describe briefly the steps involved in starting a new business. Examine the nature of relationship between entrepreneurship and economic development. Clarify how motivation and abilities impact an individual's decision to choose entrepreneurship as a career. Describe briefly the role of achievement motivation in entrepreneurship. Business Finance and Marketing - Business Studies : CBSE NCERT Exercise Solutions for Class 12th for Entrepreneurship Development will be available online in PDF book form soon. The solutions are absolutely Free. Soon you will be able to download the solutions.